By 1916, exhibition soccer games on Christmas Day were a Philadelphia tradition that dated back at least to the inaugural season of the city’s first organized league, the Pennsylvania Football Union, in 1889. As was the case then, the exhibition game in 1916 took place at the grounds of one of Philadelphia’s professional baseball teams, this time at the Phillies Ball Park. Located on a small city block in North Philadelphia bounded by North Broad Street, West Huntingdon Street, North 15th Street, and West Lehigh Avenue, the stadium would later be best known as the Baker Bowl. The main event proved much more entertaining and featured Standard Rollers, also of the Industrial League, against long-standing local powerhouse, Philadelphia Hibernians of the American League. The Inquirer’s match report said, “With the grounds in fast condition, considering the recent elements, play in consequence was of a thrilling character at times, with the Hibs having the measure of their inexperienced opponents right from the start.” Hibernian finished the game 4–1 winners. But the big game for area soccer fans that day was taking place 900 miles away in St. Louis. There, Bethlehem Steel FC were playing the Ben Millers for the bragging rights of unofficial champion of the United States. That Bethlehem Steel were already the official champions of the US was not in doubt. In May of 1916, the team had won their second consecutive United States Football Association’s National Challenge Cup (now known as the US Open Cup) and in June they won their second American Football Association’s American Cup. In doing so they became the first team to win both competitions in the same year, a feat they would go on to repeat two more times. Still, the claim that these tournaments represented national championships was, with justification, in dispute by some. While the American Cup tournament had been founded in 1885, the entrants for the 1915-16 season all hailed from Southern New England, Eastern New York, Northern New Jersey and Eastern Pennsylvania. The National Challenge Cup, founded in the 1913-14 season, featured teams from as far west as Detroit and Chicago in 1916 but most of the competing teams came from the same areas as those in the American Cup. And the St. Louis soccer community knew it. St. Louis had its first organized league in 1886 and, as was also the case in Philadelphia, many of its early teams were neighborhood or parish-based. Two of the three teams that participated in the exhibition soccer games 1904 Olympics in St. Louis were local teams. The tours of the Pilgrims team from England in 1905 and 1909, so important to the development of soccer in the US, had been organized by two St. Louis soccer enthusiasts, Thomas Cahill and Winton Barker. In 1907 the city was the location of the only fully professional league in the US. By 1910, St. Louis had grown to be the country’s fourth-largest city. Thomas Cahill moved that year to Newark, New Jersey, where the headquarters of the American Football Association was located, and began the work that led to the founding of the United States Football Association, known today as the US Soccer Federation. St. Louis soccer had by now gained a national reputation and in 1911, Philadelphia’s Tacony FC, winners of the 1910 American Cup, traveled there to play the city’s St. Leo’s team to a 4–4 draw. Negotiations for Bethlehem Steel to travel to St. Louis during the 1915-16 season had failed over disagreements about financial guarantees. Following Bethlehem’s Cup winning double in the spring of 1916, the necessary guarantees were made: Bethlehem Steel would play two exhibition games over the Christmas holiday in St. Louis. The Chicago team did come out fast against the visitors with both sides playing the standard 2–3–5 formation of the day. The home team scored in the first half before Bethlehem’s “superior conditioning favored them in the second half, when they fairly ran over the locals and scored the points that gave them the victory.” Final score: Chicago 1–2 Bethlehem. The South Bethlehem newspaper The Globe had reported on December 20 that Bethlehem would leave Chicago immediately after the game. They had to—the next day they would face the St. Louis All-Stars. Not so in the second half. The result could have been very different. At one point in the first half a St. Louis player player had to leave the game with a knee injury. “An exhibition of sportsmanship was displayed by the Bethlehems,” wrote the Inquirer. “Soccer rules prevent the allowance of a substitute, but Bethlehem permitted another player” to enter the game. Ratican again opened the scoring for Bethlehem, heading a goal in the middle of the first half. Then, a minute before the end of the half, a penalty was committed against a Ben Millers player in the box. They made no mistake with the penalty kick to draw level, 1–1. The second half opened up with the home team controlling play in front of the Bethlehem goal. Soon, shot was stopped by the Bethlehem keeper but he bobbled the ball while trying to carry it out for a clearance. The Ben Millers pounced on the error and scored to take the lead. Holding the lead almost to the final whistle, the Ben Millers keeper slipped in the closing minutes of the match while attempting to cover a shot, thus allowing a Bethlehem goal. Final score: Ben Millers 2–2 Bethlehem Steel. As had been the case in the previous game, the result could have been very different. During the scoring of the second Ben Millers goal, the Bethlehem keeper was kicked in the stomach and had to leave the game. While Bethlehem manager Harry W. Trend had agreed before the start of the game that no substitutes would be allowed, the Ben Millers insisted that one come on to replace the injured keeper. Playing with the wind and the sun at their back after winning the toss, Bethlehem opened the scoring 12 minutes after the start “on a long high kick…the ball was lost in the sun and no attempt was made to stop it.” Soon after, Bethlehem was fouled in the box on another attack and converted to make it 2–0. The match was a chippy affair with the Ben Millers committing 22 fouls to Bethlehem’s 15. Bethlehem recorded nine corner kicks to the visitor’s one and the Ben Millers single decent chance on goal from open play wouldn’t come until the second half. 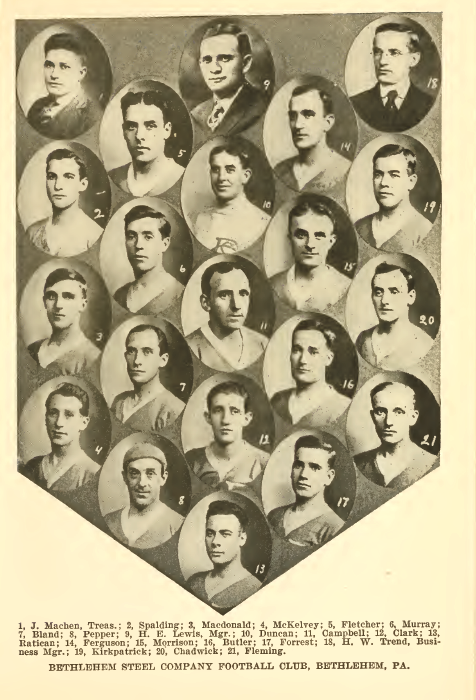 Bethlehem would lose 1–0 to Fall River Rovers, the team they had defeated for the championship the year before, in the National Challenge Cup final on May 5, 1917. Fall River advanced to the final after they defeated Disston in a semifinal that went over two legs. On May 7, Bethlehem defeated West Hudson AA 7–0 to win the American Cup championship for the second year in a row. They would win the American Cup, and the National Challenge Cup, again in 1918 and 1919. 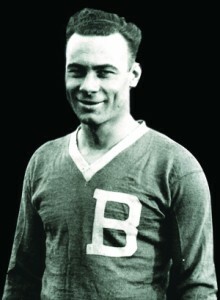 Harry Ratican remained with Bethlehem Steel through 1919, and was with the team for their Scandinavian tour of that year, before returning to St. Louis to play with the Ben Millers in 1923. He scored two goals in his debut. He finished his soccer career as a coach in St. Louis. An article in the April 9, 1917 edition of the Inquirer described the Ben Millers’ plans to tour Sweden that summer. But those plans were already doomed. On April 6 the US had declared war on Germany to enter World War One and the tour proved impossible. 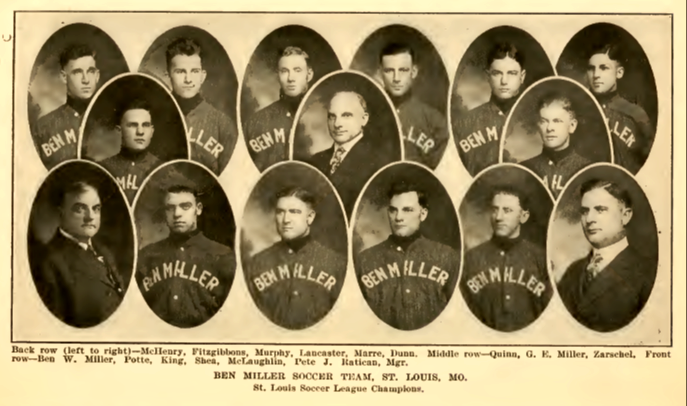 It would not be until after the war in 1920 that the Scandinavian tour would take place, the same year that St. Louis teams entered the National Challenge Cup competition for the first time to make a legitimate claim at being champions of the US, the Ben Millers among them. 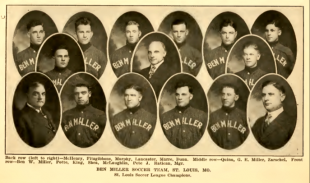 The opportunity was not squandered: on May 9, 1920 the Ben Millers defeated Fore River in the final 2–1. St. Louis teams would appear in the Cup final five out of the next six years, winning the championship once. Bethlehem Steel would meet the Ben Millers in the final of the 1925-26 National Challenge Cup at Ebbetts Field in Brooklyn, winning the Cup for the fifth and final time in their history on April 11, 1926 in convincing fashion, emphatically defeating the St. Louis side 7–2. Photo of Harry Ratican from David Lange’s Soccer Made in St. Louis. All others from the 1917-18 Spalding Guide. Go to http://bethlehemsteelsoccer.org/ for more about Bethlehem Steel FC. Thank you, Joseph, I’m glad you liked it. I love this stuff! All I want for christmas is one of those sweet bethlehem steel kits! Really good stuff. Thanks for taking the time to put it all together. I do have one slight correction, though. According to the American Soccer History Archives (http://homepages.sover.net/~spectrum/year/1926.html), the match between Bethlehem Steel and J&P Coats a semifinal and Bethlehem went on to beat Ben Millers in the final 7-2.